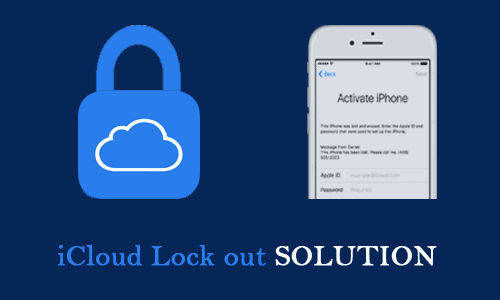 Apple iCloud lock out means being locked out of your Apple device until a solution is provided. I will like to state at this point, that the iCloud lock out is one of the reasons why iPhones are considered the most secure phones on earth. Unlike most Android phones there is no way around it (speaking from experience). The iCloud lock is also called Activation Lock. It was introduced in the iOS prevent iPhone thefts. The iCloud lock out is usually tripped on when Find My iPhone activated. Since the iCloud lock out was introduced I can confidently tell you that it is practically useless to steal an iPhone and get away with it. 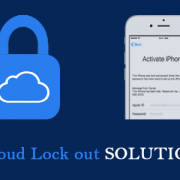 There are a number of actions that could trigger iCloud lock out. Firstly, failure to turn off Find My iPhone or sign out iCloud before you erase an iPhone. Secondly, if your Apple ID is disabled, you might have to go through Activation Lock screen to set it up again. This is what happens when you buy a used iPhone. The iCloud lock out is a sign a reason to suspect a phone is stolen. So before buying an iphone sure to ask if the has been Activation Lock is disabled. Although there are a lot of alternative materials on unlocking the iCloud lock there’s only one way to fix iCloud-lock out. That is why the iCloud Lock is an effective iOS security tool. You will be prompted to enter your Apple ID username and password to activate. However, if you don’t have the correct Apple ID password for some reasons, then you’ll need to reset it. If there is a way to get the correct Apple ID details, I will suggest you ask for it. Ask for the correct account Apple ID credentials for the phone. Enter the correct Apple ID then sign out from iCloud (if they are selling the phone). For iOS 10.2 and older phones, enter Settings > iCloud > Sign Out. Enter Apple ID username and password, when prompted again. For iOS 10.2 and older phones, Sign Out, then Delete from My iPhone. For iOS 10.3 and newer phones, tap Turn Off. Proceed to erase again enter Settings > General > Reset > Erase All Content and Settings. On restarting the phone, you shouldn’t see the Activation Lock screen again. That’s easy right, but the real case comes up when That’s the easy version. This is quite a remote approach to iCloud lock out solution. When you buy a phone from a source that won’t want to tell you their Apple ID. The initial owner should go to iCloud.com and do the following. Sign using the Apple id username and password used on the iPhone. Then, go to Find My iPhone. Then select the iPhone in question. Once that has been done, restart the iPhone. Note that phones running on iOS 11 or later with Two-Factor Authentication to secure your Apple ID have an easier way out to disable Activation Lock using your device passcode. Just tap Unlock with Passcode, tap Use Device Passcode, then enter the passcode. As earlier stated there is really no easy way around iCloud lock out. That’s why it’s advisable not to get a used iPhones or be sure to check properly before buying. If there is no way to get the Apple ID then, you need to reach out to Apple. But you must provide valid proof of purchase, the company may be willing to unlock the phone for you. Get a receipt or other proof of purchase, then contact Apple for tech support to see if they can help.